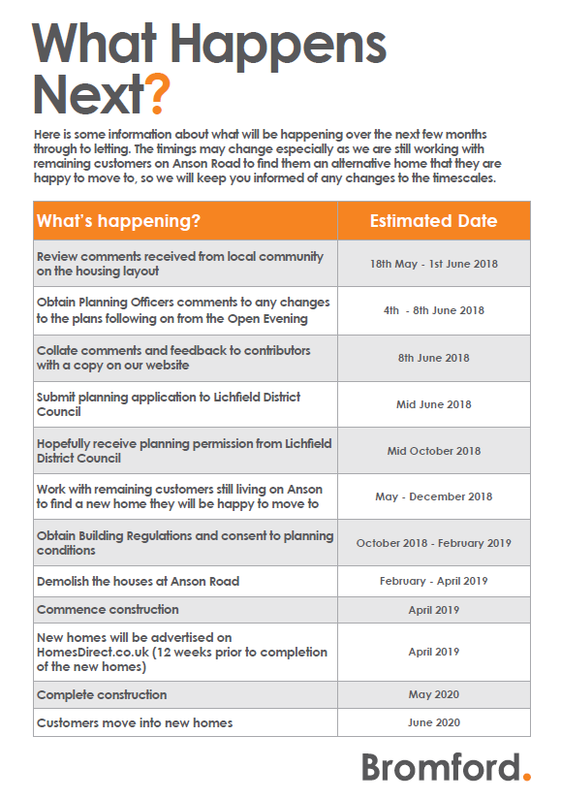 We plan to regenerate a number of our homes on Anson Road. These homes are ‘Airey’ houses and are made of a concrete non-traditional construction (non-traditionally built properties means that they are not made with a conventional brick or timber frame structure). These types of properties have a poor energy efficiency rating which typically results in them being extremely expensive to heat. We assessed some of the homes that we own on Anson Road for their energy performance rating. An ‘A’ rating is classed as excellent and shows that a home would be cheap to heat and a ‘G’ rating means that the home is very inefficient and is very expensive to heat. Our homes achieved an energy performance rating of just ‘F’ and ‘G’ which means that they cost a lot more for our customers to heat than if they lived in a traditionally built home. As this issue affects a number of our homes at this location, we have decided to demolish the houses and build brand new energy efficient ones. You can view our proposed plans under the 'Development Information' tab below. If you have any comments please contact us using the form below by the 1st June 2018. If you have any comments please email us at: regeneration@bromford.co.uk or complete the form below by the 1st June 2018. Find out What happens next? We will post any letters that have been circulated to all those affected here. See Development information tab for proposed plans and what happens next.